Check out the SMUD Power outages, if you got your electricity down today the outage map shows you areas which have no electricity at this time. 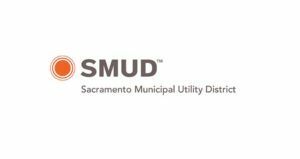 Sacramento Municipal Utility District (SMUD) provides its electricity services to Sacramento County, California and some parts of Placer County. SMUD was founded in 1923 and it serves the customers with a mix of production capacity which is known as 56% by natural gas, 22% hydroelectric and 19% green energy. SMUD also offers customer service numbers to which you can contact at, if you got sparking wires in the street you can call emergency number at 911. If you got outage in your home OR in the whole street you can contact at this number 1-888-456-7683 to report an outage to SMUD team. The outage in service can be occur at any time, the unforeseen events may result in an power outages including accidents, storms and some other things. The common issues which are reported frequently over here beside SMUD power outages includes issues with meter, failure in online bill payment, issues with service providence, street lights issues and some very customer specific issues. If today you got the service down, you can visit us here to check the SMUD outage map. The outages happen so frequently in the days of severe weather and storms, so the map is also updated more frequently to meet the need of an updated information for our visitors.